Gambling addiction is its own mental health condition, often occurring along with substance use disorder. Or maybe you suffer gambling addiction and co-occurring mental illness like depression, trauma, OCD or anxiety. Whatever your personal journey to your addiction, it can end. You just need the right help through a quality gambling addiction treatment program. You share gambling addiction with only about one percent of the U.S. population. But that does not make your condition unique. This addiction seems very much like other types of addiction at face value, in symptoms and in how it changes your life. Also, like substance use disorder, maybe your gambling started because of depression, anxiety, trauma or other mental illness. 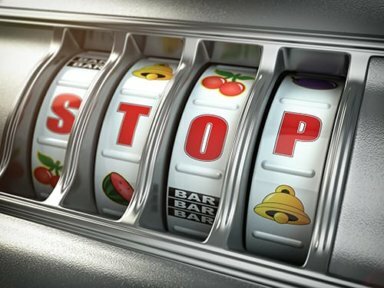 Regardless of how or why it started, gambling addiction makes a mess of your life. Your finances suffer, and you struggle with relationships. Your career and health suffer, too. But through professional rehab treatment, you can rebuild a gambling-free your life. Other statements of gambling likely correct in your life include lying about your activity, losing your job, quitting your education because of gambling, losing relationships to your gambling and relying on others for help with money problems caused by your addiction. What Does a Gambling Addiction Treatment Program Include? A gambling addiction treatment program uses similar approaches to help you, as used for someone with substance use disorder. You likely also drink too much alcohol or use drugs, if you suffer gambling addiction. These problems and any underlying mental illness all gain treatment at the same time. Your treatment for behavioral disorders and co-occurring mental illness must include a broad range of therapies. You need cognitive behavioral therapy, individual therapy, group therapy and family therapy. In a quality rehab program, you gain these and other therapies under the care of a medical team, addiction counselors and a behavioral therapist who understand your dual diagnosis needs. Your gambling addiction treatment program must also include coping skills and life skills coaching. Your whole family needs help to build trust, communicate better and responsibly handle future addiction problems. Finding a quality program for gambling addiction treatment is difficult. But the accredited treatment of Morningside Recovery meets your needs. At Morningside Recovery in Orange County, you gain a real chance of a brighter future without gambling, other addictions or problems caused by your mental illness. Through our gambling addiction treatment program, you can take back control of your life. The help you need is at Morningside Recovery, so call now at 855-416-8202 for more information.